There is nothing I love more than a romantic castle proposal "“ except maybe a romantic castle proposal in the City of Love! 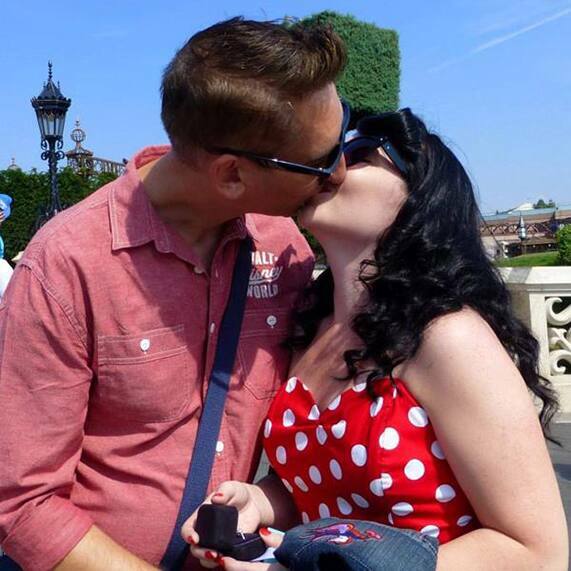 Geoff and Lisa are two huge Disney fans from Liverpool, U.K. who have visited Walt Disney World, Disneyland and Disneyland Paris during their 15 years together. 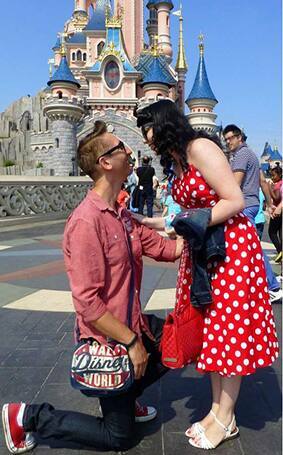 On their trip to Walt Disney World earlier this year, Geoff wanted to ask Lisa for her hand in marriage. There was just one problem "“ he didn't have a ring! Deciding he couldn't wait for their next trip to the USA, he swept an unsuspecting Lisa off to Disneyland Paris. 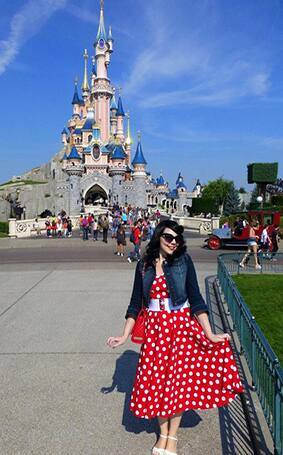 After a morning in the park, he suggested they head to Sleeping Beauty Castle to take some photos. After handing another Guest his camera, Geoff dropped to one knee with the ring and Lisa gasped with surprise. The entire audience waiting for Disney's 20th Anniversary Celebration Train erupted in applause and the two were on their way to happily ever after. Their next big decision? Which Disney Park to celebrate their marriage at!